Cheltenham hosted a major snooker tournament for the first time in February 2019 when the Coral World Grand Prix came to the town. 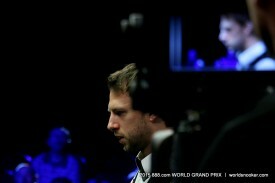 Judd Trump won the title, beating Ali Carter 10-6 in the final. With extensive live television coverage from ITV4, the tournament offered a top prize of £100,000 from a total prize fund of £375,000. The 2018 Coral World Grand Prix was won by Ronnie O’Sullivan, beating Ding Junhui 10-3 in the final. The event was staged for the first time in 2015, in the town of Llandudno in North Wales. 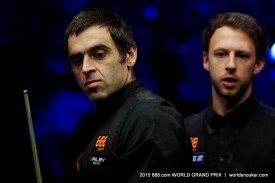 Judd Trump won the inaugural title, beating Ronnie O’Sullivan 10-7 in the final. In 2016 it became a ranking event for the first time and was won by Shaun Murphy, beating Stuart Bingham 10-9. In 2017 it took place at the Guild Hall in Preston with Barry Hawkins beating Ryan Day 10-7 in the final. 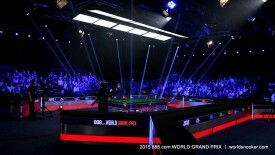 BREAK OFF | FINAL episode from the 888.com World Grand Prix! 2016 World Grand Prix Tickets Now on Sale! 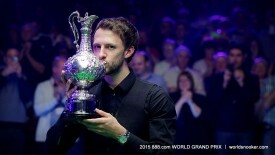 Judd Trump Wins 2015 888.com World Grand Prix!